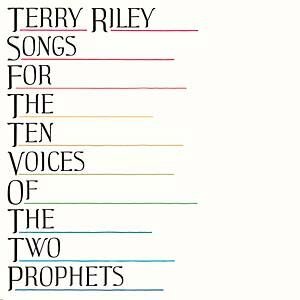 Beacon Sound present a reissue of Terry Riley's Songs For The Ten Voices Of The Two Prophets, originally released in 1983. Recorded live in Munich in 1982 using two Prophet synthesizers and voice, this album is a reflection of Riley's ongoing interest in melding improvisation, electronic music, and the raga vocal stylings of his mentor, Pandit Pran Nath. Includes original insert; Edition of 300.